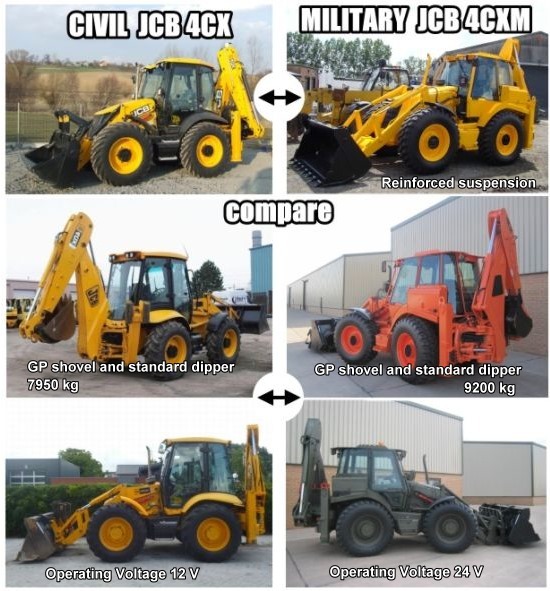 JCB used only proven components and technologies in the JCB Military Backhoe’s manufacture for strong, reliable performance and minimum downtime. The cab is fully air-conditioned, comfortable and ergonomic, with 24-volt systems and seat-mounted excavator controls. The Military backhoe can be waterproofed up to 1.5m wading depth, can have winterisation to -40°C and is available in a variety of specialist paint options. Convoy and blackout lighting is available, with lifting points, tie-down points and reduced height cabs for excellent transportability.